Back In Action This Saturday: Warrenton's Blossom Boxing Clubs Sylvester Sekese (red vest) and Home Defenders Boxing Club's Marcel Kwes will face-off against opponents. It will be blow-by-blow as the Home Defenders Boxing Club (H.D.B.C) stages an Inter-Club Tournament at Galeshewe’s Mayibuye Multi-Purpose Centre this Saturday, 6 April and starting at midday (12pm). 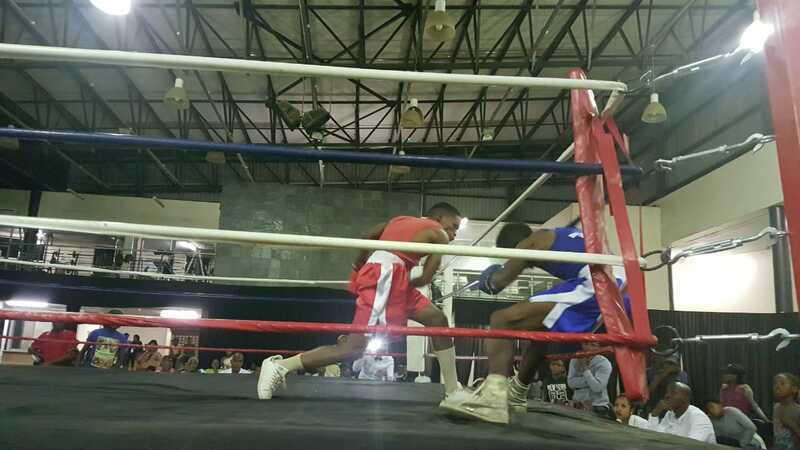 Billed as “The Last Man Standing,” over a 100 amateur boxers from 10 boxing stables across the Northern Cape and with one from the Free State are all set to participate. According to the hosting teams’ senior official Archie Jack the youth and senior boxers that are to go toe-to-toe against each other in a series of bouts are the Kimberley based Freedom Boxing Club, NC Academy and Just Do It. Jack listed the following invited teams from out of town; Blossom Boxing Club from Warrenton, Lohatlha B.C and Tsantsabane B.C from Postmasburg, Bosasa B.C from De Aar, Motaung B.C from Kuruman and Sisheng B.C from Kathu. Whilst the fearless and happy travelers from across the provincial border in Bloemfontein’s Amarok B.C will also bring hordes of boxers. Home Defenders Boxing Club has pulled all the stops in ensuring that this tournament does not only go down as one that featured mesmerizing bouts of boxing for the spectators but memorable too for the boxers. “In each weight category despite the number of boxers matched, there must be a winner. Winners will be taking home a gold medal and runners-up silver medals. There will be two trophies for the best boxer in the senior category and the best boxer in the youth category,” enthused Jack. This encounter will serve as a precursor in determining who among the senior boxers of the province will represent the Northern Cape at the national championships to run under the auspices of amateur boxing’s governing body – South African National Boxing Organisation (SANABO). 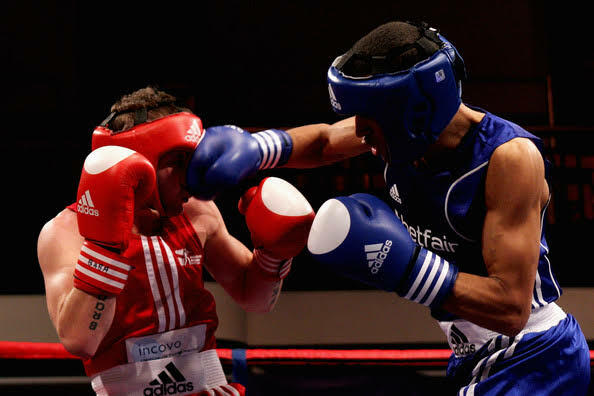 “The senior boxers will use this tournament as a test of time because in June they will be participating in the Provincial Senior Championships which will select a team for SANABO’s nationals which might be held in Kimberley in July,” added Jack. 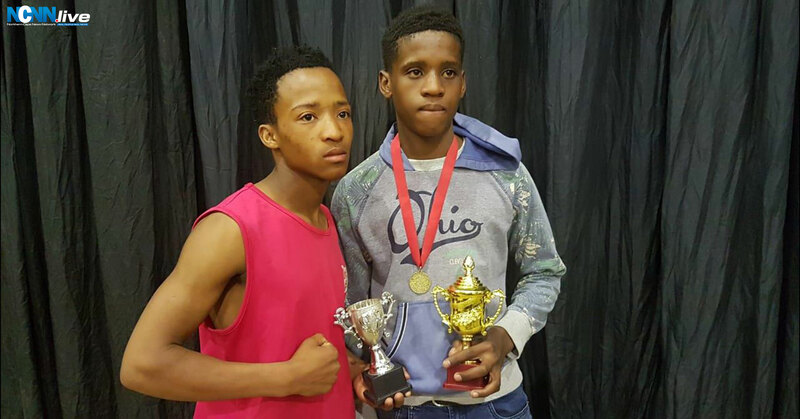 Whilst the tournament is set to rekindle old rivalries, the talents of the likes of youth boxers Tshepo Fischer of H.D.B.C and Liam Koen of NC Academy might produce another slugfest which drew a standing ovation in their last match-up. Fireworks can also be expected from H.D.B.C’s nimble footed Marcel Kwes, a national championships silver medalist in the 50kg weight division. For more footwork and tactical boxing style with telling punches, Freedom Boxing Club’s Lebogang Mohosh might also face-off against Blossom Boxing Club’s Sylvester Sekese in the 52kg weight division. This writer urges you to remember the name Thesang Thesebe of Freedom Boxing Club who will definitely be last man standing in the 57kg weight division. He is no rope-a-dope but a hard puncher with stars written across his game of the fisticuffs future. Back In Action This Saturday: Warrenton’s Blossom Boxing Clubs Sylvester Sekese (red vest) and Home Defenders Boxing Club’s Marcel Kwes will face-off against opponents.